Utah Opera’s final performance for the 2013-2014 season is The Abduction from the Seraglio, a comic opera by Mozart full of cheery scenery and cheeky laughs. While the production is lighthearted, the music contains some of the most difficult arias in opera. The Abduction opened to a full house on Saturday night at Capitol Theater and continues with performances throughout the week on Monday, Wednesday, Friday and a matinee on Sunday. The Abduction from the Seraglio tells the story of Konstanze, a wealthy Spanish woman who was kidnapped by pirates and taken to Turkey along with her maid, Blonde, and her fiancé’s servant, Pedrillo. Her fiancé, Belmonte, has tracked them down and finds them at the Pasha Selim’s palace, where the Pasha has fallen in love with Konstanze. Belmonte and his servant Pedrillo plot an escape plan that involves getting the overseer drunk. But before the plan can be carried out, the escapees are discovered and taken to the Pasha. Longtime Utah Opera-goers will recognize many voices in the opera as most of the performers are resident artists. 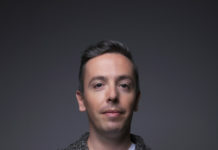 And the Pasha is none other than Artistic Director Christopher McBeth, although unfortunately his character has no singing parts. (I was hoping to hear him sing!) Konstanze is sung by resident soprano Celena Shafer, who mastered her high notes perfectly but struggled with the low ones, also wrestling to maintain a constant volume throughout her arias. Hopefully her fluctuations can be attributed to opening night jitters. Andrew Stenson makes his Utah Opera debut with his performance of Belmonte. The tenor is the standout star of the show with his striking voice and excellent delivery of the comedic one-liners. 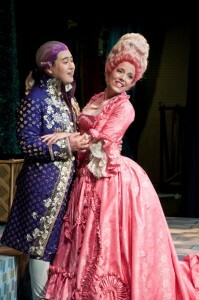 His servant Pedrillo is sung by resident artist Tyson Miller, who was in Utah Opera’s previous performance of Turandot. Miller nails the jovial character of Pedrillo in all aspects and has great chemistry with fellow resident Amy Owens, who plays Blonde. Her likeable demeanor, acting skills and clear voice made me wonder why she wasn’t cast as Konstanze. My favorite was bass Gustav Andreassen, who plays the Pasha’s overseer. His thunderously low voice not only carried with perfection throughout Capitol Theater, his charisma on stage made him likeable in every scene. 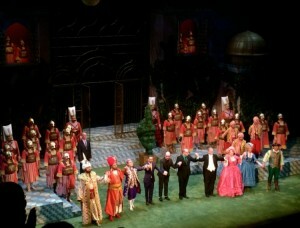 The cast of the Abduction from the Seraglio takes their curtain call at the end of the opera on opening night. While the story is set in the 1700s, Costumer Designer Jacob Climer created whimsically colorful costumes for the characters. Konstanze donned a bright pink 18th century-style dress complete with a pink-tinted wig while Belmonte’s suite was a dazzling purple. The vibrant costumes helped keep the visual element entertaining since the set stayed the same throughout all three acts. The opera is very dialogue-heavy, without much action by the performers. Combined with the lack of set change, the performance felt a little stale at times. The opera is sung in German (with the usual English supertitles projected above the stage) but the spoken dialogue is in English, which I found to be distractingly awkward. The Abduction from the Seraglio doesn’t have quite the drama that the previous production of Turandot did, but the joyful opera is full of beautiful music and plenty of laughs to keep you entertained all evening. Performances are Monday, Wednesday and Friday at 7:30 p.m. and Sunday at 2 p.m. Tickets are range from $18-95 or around $15 if you’re under 30 years old. 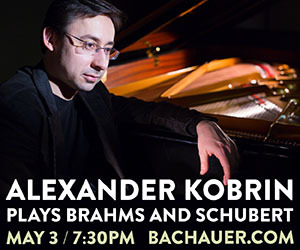 Tickets are available online here or by calling 801-355-2787. Thank you for your comment! I can’t remember how I found your blog but it is one of my favorites. I am eager to read more about your trip through Spain and France, two of my favorites. I also thought the English dialogue was a bit awkward in Abduction.